Loose holster pockets are especially useful when you only need them occasionally. Many also buy these if their work or working position require them to be located e.g. further around the hips compared to regular work trousers with holster pockets. MASCOT produces loose holster pockets so that your tools can be close at hand at all times. Choose between different types that also have different compartments, so you can find the one that fits your requirements. At MASCOT, you can choose different holster pockets including pockets that are made of 100% CORDURA®, which is an extremely durable fabric that can withstand the heavy and often sharp tools that are put in the pockets countless times over the course of a working day. The holster pockets are fully closed at the bottom so you can have both small and large objects in them without the objects falling out. They are produced in different colours so you can easily find some that fit the work trousers that you already have. 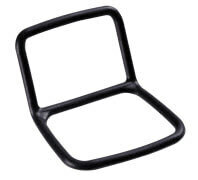 The holster pockets should be attached to a solid belt and can be placed anywhere on the belt, depending on your needs. 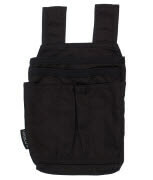 The advantage of detachable holster pockets is that you can take them off when your trousers needs be laundered, and therefore you don't have to empty them of tools. At the same time, it is easy to empty them for sand and dirt as you can just detach them. Use our product search to find the particular holster pockets and the appertaining belts that fit your work trousers.